Sar-e Pol Plagued by Corruption: Residents | . :: Elections 2014 ::. Residents of northern Sar-e-Pol Province have raised the volume on complaints of rampant corruption within their provincial government. Provincial officials acknowledged the existence of corruption, but said they needed the help of residents to effectively combat it. According to a number of Sar-e-Pol denizens, provincial offices don't work without bribes, and officials delay work in order to extort higher fees. They warned that people would lose faith in government if the issues go unaddressed. Corruption is a widely documented problem in Afghanistan. According to Transparency International, Afghanistan is the second most corrupt nation in the world, falling right behind Somalia, and a report the organization released earlier this year ranked the Afghan judiciary as the most corrupt in the world. "If you want to get an ID Card, you have to pay 1,000 Afghani, and without paying money, it is impossible," a resident of Sar-e-Pul who asked not to be named told TOLOnews. The Governor of Sar-e-Pul, Abdul Jabbar Haqbin, stressed his utmost commitment to the task of fighting corruption in his province. But he added that to remove the problem effectively, residents need to cooperate, and report instances of bribery and other improprieties. 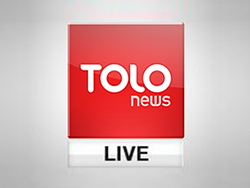 "The people should inform high ranking officials in the province about the persons who engage in corruption, delay work for no reason or have illegal demands," Haqbin told TOLOnews. "If this happens, we will succeed." While the issue off corruption in Afghanistan has been longstanding, and will likely not go away over night, sensitivity is heightened ahead of the elections and withdraw of coalition troops next year, which present trials that will test the credibility of the central and provincial government system that has been established since the fall of the Taliban regime in 2001. Sar-e-Pul province is located in northern Afghanistan, and has just over 500,000 residents. The province's economy is primarily based on agriculture and livestock.